Two divers searching for sea treasures made an unexpected find when they discovered a WWII bomb in Sydney Harbour. 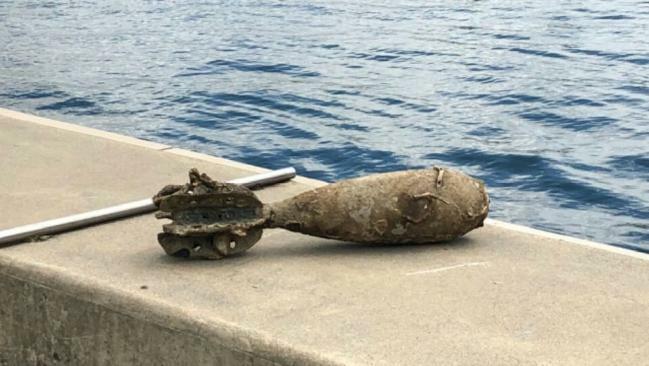 TWO divers made an unexpectedly discovery when they stumbled upon an undetonated bomb in Sydney Harbour. 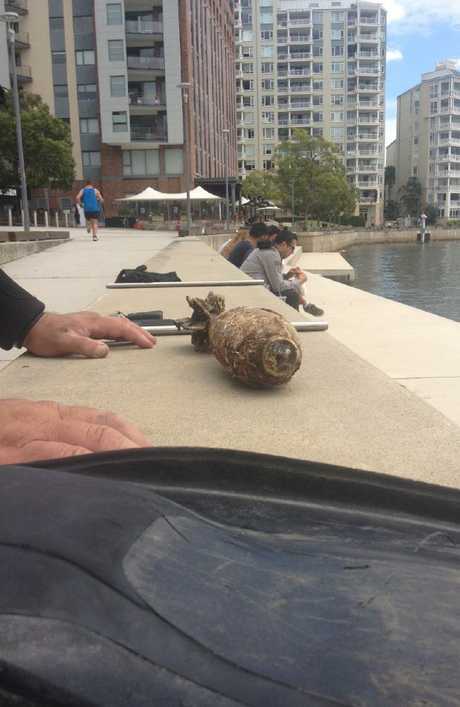 The World War II bomb was found at around 11am by divers Tony Strazzari and Paul Szerenga at Jones Bay in Pyrmont. 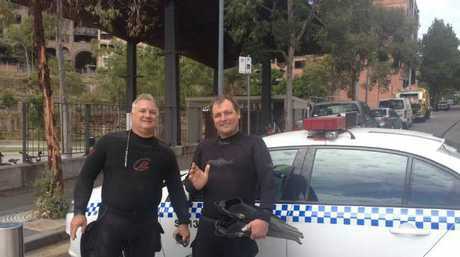 Tony Strazzari (left) and his mate Paul Szerenga discovered an unexploded bomb in Sydney Harbour. "We do a lot of diving around old war sights and collect anything of interest such as bottles or glassware and sell it on eBay," Mr Strazzari said. "I've found bullets before, and even a rifle in Maitland, but I've never found anything as unusual as this." After pulling the bomb out of the Bay, the pair called Sydney police and waited for the appropriate authorities to arrive. "I've dived in Papua New Guinea where we saw a lot of unexploded stuff in the Harbor there, so I thought it would be unlikely that it was go off," he said. "We weren't 100 per cent sure though, so we made sure we moved it carefully out of the water, making sure it didn't bang against anything." Forty five minutes after the initial call, Mr Strazzari received a call from the bomb squad which requested he take a photo of the find. "After we sent the photo, only ten minutes had to go by before the first police car arrived, and soon one turned in to four," he said. "We helped the first lot of people to stop people walking by the bomb while more turned up." Police then established an exclusion zone and called upon military personnel to inspect the bomb. In a statement made by NSW police, the bomb was deemed to be at no risk to the public. 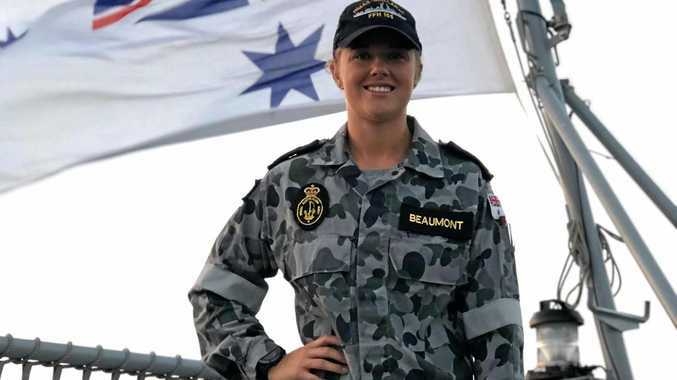 "About 1pm today (Wednesday 21 February 2018), Sydney City police were alerted to a WWII bomb in the water at Jones Bay, Pyrmont," a spokesman for NSW police said. "As a precautionary measure an exclusion zone was established and military personnel attended to inspect the item." The bomb was seized by the Australian Defence Force.